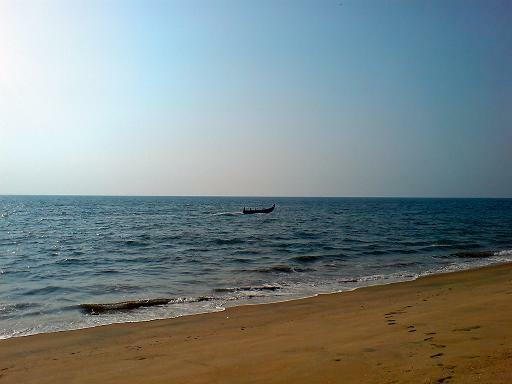 Mararikulam beach - Located in a small village called Marari, near Kochi. It is one of the places in Kerala, where people haven't moved forward with time. Men go for fishing in the morning to earn a living and the womenfolk take care of the house. This beach has the untouched territory with fresh cool air, swaying coconut trees, enchanting palm groves, and emerald waterways. The Beach Resort is located at 60 kms from Kochi, set in 25 acres of Coconut Palm groves leading down to the vast expanse of beach. The distance from Kochi is 60 kms and from Alappuzha just 15 kms. By Air: Kochi is the nearest airport. By Rail: Well connected to the major cities. By Road: Excellent road network.